$892.50+ First Gaming PC Build! Not sure why Crucial memory isn't more popular, never very many reviews on any of the usual sites. Might be a little plain looking but every set I've purchased overclocks right to the correct clocks and timing and does its job with no errors. All I did was set the XMP profile in the BIOS and it's been running smoothly. 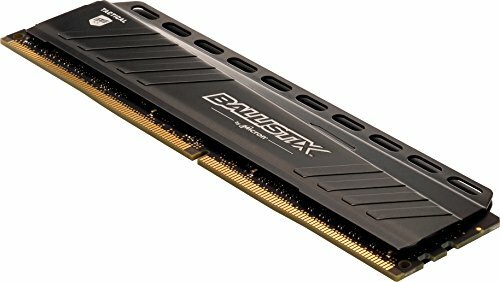 Temps are fine and I have no stability issues. I have not tried overclocking it though so that is the extent of my experience. It's RAM. 16GB dual channel at 3000MHz/CAS15 with a heatspreader seems to get the job done and I got it at a reasonable price. However, its design doesn't pay much mind to being viewed from the top (as you will see it when installed in most PCs), so if you can find something with more attention to top-down aesthetics for a similar price and with similar specs (provided you care about that), I would go for that instead. It should also be noted that it is taller than base-spec RAM, at 42mm, and will potentially conflict with some old-school or very large coolers. I didn't want to build this with 2x4GB of RAM, but I didn't want to go with one 8GB stick, due to the integrated GPU. 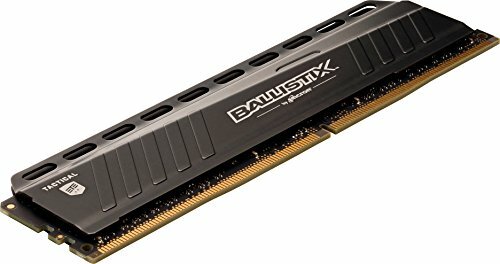 With the high prices of RAM at the moment, I decided to bite the bullet and build it from scratch with 2x8GB. Selecting XMP profile 2 in the BIOS made a big difference to my CineBench GPU score.